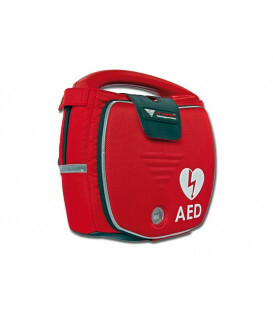 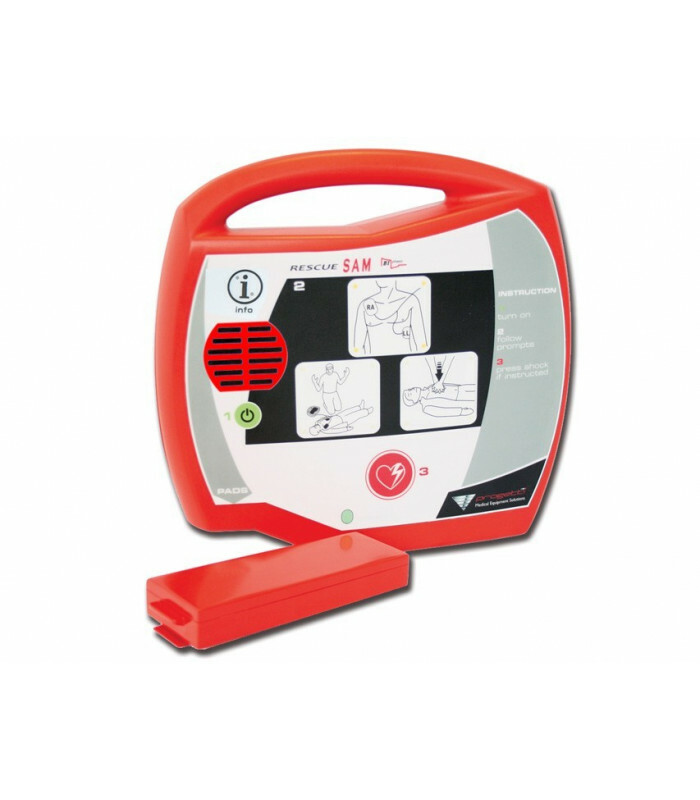 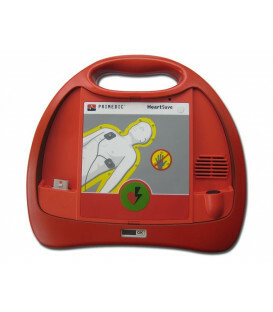 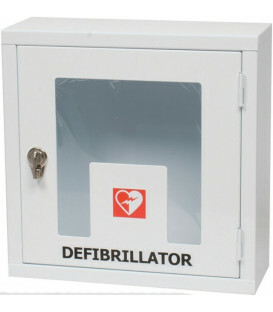 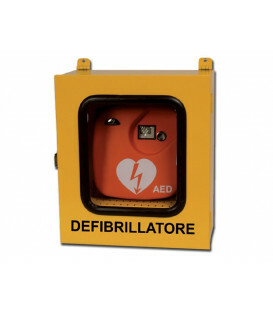 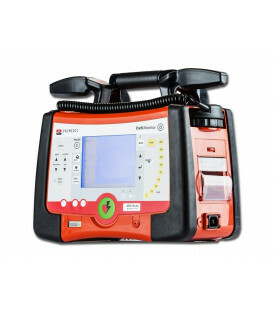 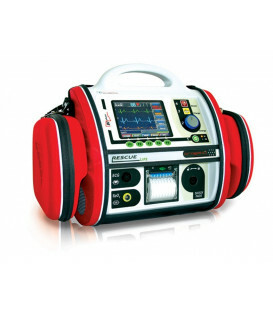 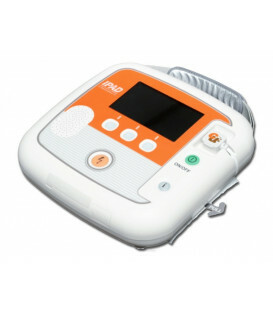 Rescue Sam is a semi-automatic external defibrillator designed for public use, even by people with little experience. 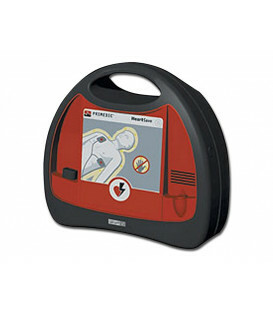 Able to provide simple instructions for rescue operations. 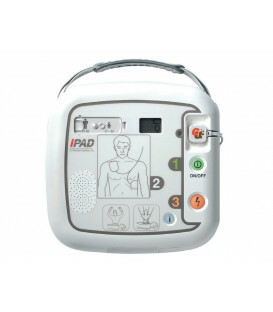 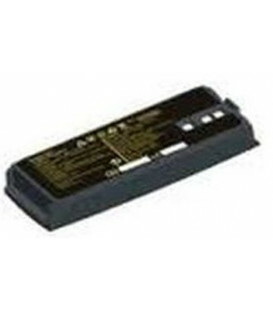 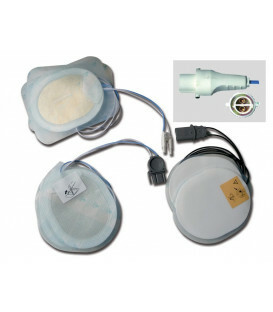 It's equipped with lithium battery (200 shocks or 4 hours of operation), set of adult pads and manual. 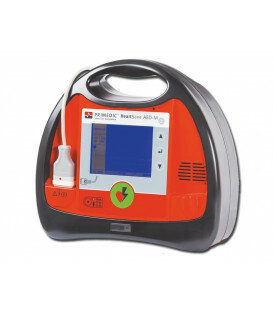 According to the Guidelines 2010 AHA / ERC. 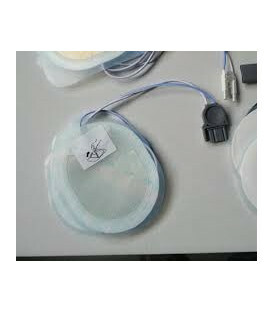 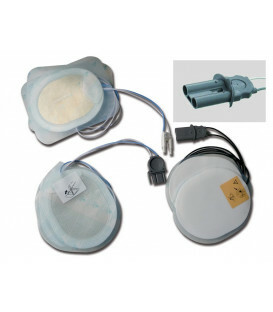 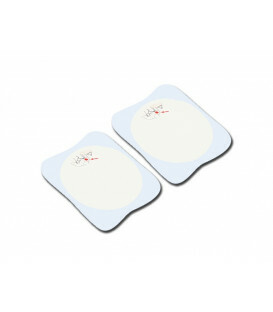 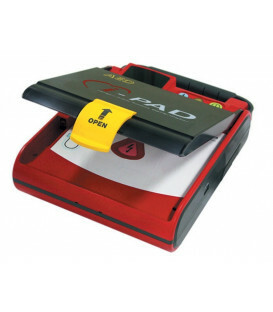 Data acquisition ECG Lead II through the defibrillation pads.